Love your rewards program? Vote for Stash in the Freddies! The Freddies are the preeminent honor for travel loyalty programs. Voting for Stash is a big “yes” to our mission: to make it as easy to stay at an independent hotel with personality as it is to default to a big chain hotel. 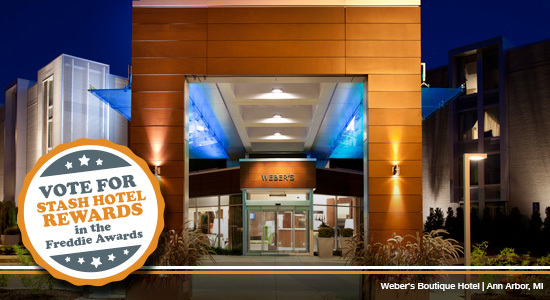 We’re honored to be nominated alongside big players like Mariott and The Four Seasons. But we want to win. Vote in all 4 categories: Program of the Year (Hotel), Best Promotion (Hotel), Best Redemption Ability (Hotel) and Best Customer Service (Hotel). You can vote once per device.